Mumbai Karnataka is unquestioningly seen as the bastion of upper caste Lingayats and hence their support for the BJP is taken for granted. Despite the best efforts of the doyens of political unification, Karnataka has failed to shed its image as a divided state. In fact, it has worsened during this election season to the point where political analysts and parties too seem to be basing their calculations on this division. Mumbai Karnataka is unquestioningly seen as the bastion of upper caste Lingayats and hence their support for the Bharatiya Janata Party (BJP) is taken for granted. Ironically, this is closer to reality than one might expect: the party has been steadily strengthening its hold over the region since the 2004 parliamentary elections. 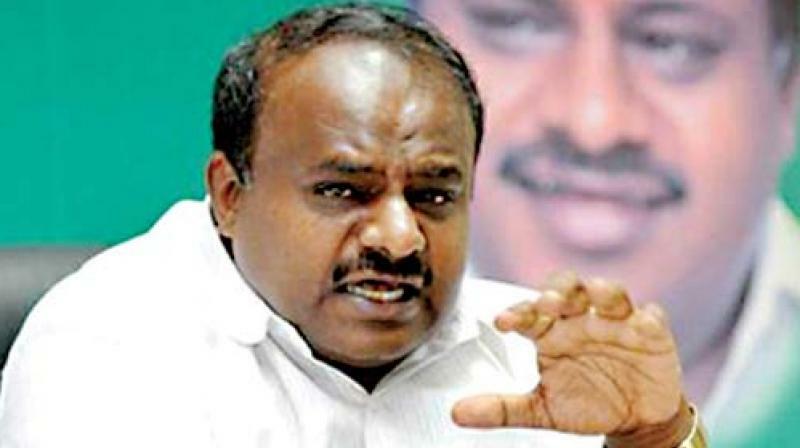 In the upcoming election, the Congress–JD(S) alliance is hoping to make inroads into the Lingayat heartland in several constituencies of Mumbai Karnataka. If recent surveys are to be believed, nearly 30–39% of the Lingayat community in the region have an impact on the manner in which 7 Lok Sabha constituencies in this region, vote. The efforts of Congress JD(S) alliance are understandably dedicated towards winning more seats in the region since the BJP has already stated its intention to grab nearly 37 percent of vote share in the region. Historically, it was Veerendra Patil’s ouster by Rajiv Gandhi that saw Lingayats break from the Congress. The party’s recent attempt to grant religious minority status to the Lingayat community through the Lingayat–Veerashaiva issue in the state was seen as an attempt to bridge this historical divide. But the backlash the party experienced in the assembly elections that has now led the Grand Old Party to form a difficult alliance with JD(S) demonstrates how deep the wound is. Understanding the implications of this, and admitting that meddling in religion was a mistake, the Congress was quick to issue a public apology. However, that has failed to undo any of the damage. Congress has since attempted several ‘healing touches’ including bringing in Eshwar Khandre to the AICC fold and cajoling Lingayat leaders from the Mumbai Karnataka region such as M.B.Patil, Vinay Kulkarni etc. giving them plum posts and opportunities for the risks taken by them in the failed coup to split the Veerashaiva–Lingayat solidarity. For the upcoming election, in a bid to bridge this divide, the Congress seem to be pitting Lingayats against Lingayats across parties to split votes as much among their own mirror images such as Suresh Angadi versus Sadhunavar, Hukkeri versus Jolle - as against BJP’s partially successful ‘Operation Lotus’ where it had targeted Mumbai Karnataka’s heavyweight MLAs such as Umesh Jadhav and Ramesh Jarkiholi from this region. It is unfortunate that national parties, being major players in the state today, are indulging in such partisan activities when what they should do is respond to crises facing the farming community, resolve the dispute over the River Mahadayi, and solve drought and drinking water shortages, as part of the many emergencies staring at them. The Congress has come to be seen as insensitive, the JD(S) as ineffectual and the BJP as callous. Mr Modi too has failed to show any wisdom when it comes to resolving these issues. The Mumbai Karnataka region is no doubt dominated by the Lingayat community but the gamble that the Congress is taking, is unlikely to pay them dividends and the Modi wave, however amplified is unlikely to work its earlier magic. Vijayapura (SC-reserved) seems unlikely to favour JD(S); Gadag–Haveri and Chikkodi are likely to favour Congress; Bagalkot, Uttara Kannada and Dharwad may not support the Congress–JD(S) alliance; and Belagavi may see a stiff contest between the Congress and the BJP. This election result is truly in the realm of speculation in the region and, so far, voters seem to be playing their cards pretty close to their chests.